Some of these are really embarrassing; I have accumulated lots of nicknames over the years and some have dropped off(thank god). My parents had a Watch with Mother video tape and we used to sing along to ‘Here we go Loopy-Lou’; from there my family started calling me Louby-Lou and then it was just Lou. Everyone would assume my name was Louise as my whole family called me Lou, they still do now. My maiden name was Walter and so aside from it always being spelt wrong I was called Walts loads. I don’t really know where this came from; it was at a previous job and Lisa became Leeeeeza which then became Liesel. Like the bird out of The Sound of Music. Oh Lordy this one is embarrassing. A work colleague started calling me Lisa Lips and it stuck; everyone called me Lips for a very long time. About a year later I found out Lisa Lips is an adult movie star. This came off the back of Liesel, someone described me as ‘Diesel, just L-shaped’ and I became L-shaped Diesel. Another work one. Randomly I used to answer the phone and say ‘Good Morning, Lisa speaking’ and lots of people would then call me Nigel. That one stuck for a long time. 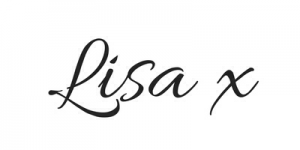 I worked with a dentist when I was 17 who told me on my first day that his previous nurse was called Lizzie and it was too difficult to learn to call me Lisa so he would be calling me Lizzie. The distant shouts of ‘Liiiizziiieeeeeee’ still haunt me to this day. Hubs has always called me Babe, as I have him. Not really a nickname as such but when he full-names me I know I’m in trouble.